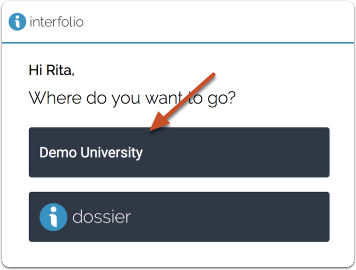 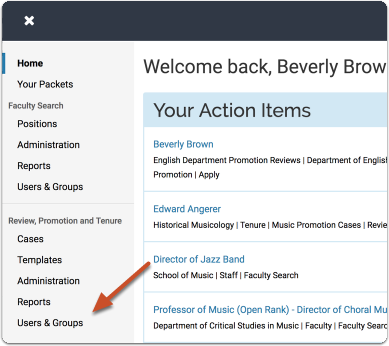 Administrators can easily delete a user from Review, Promotion, & Tenure from the User & Group Management page. 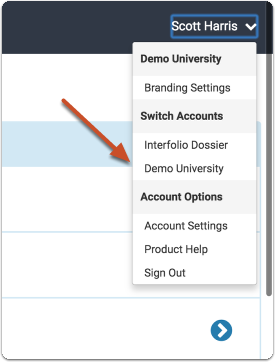 You may need to open the account switcher in the right hand user menu and select to switch to your institutional account. 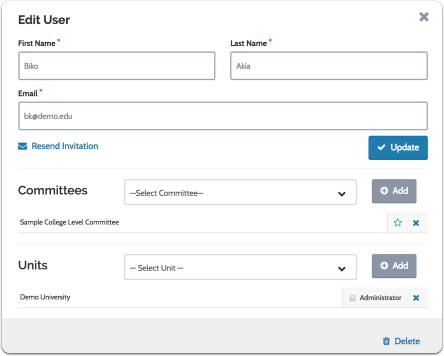 Note that you can search for the user, sort the list of users by name or email.